In my last blog I mentioned that I have two more giveaways in store for my readers. Since then I have added one more so you have several opportunities to win wonderful books! Joyce Hostetter won Being Frank but today you have the chance to win Gretchen Griffith's new book, Lessons Learned. 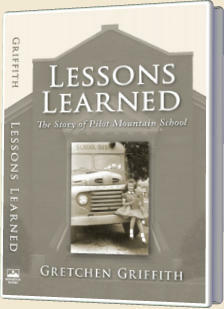 Lessons Learned: The Story of Pilot Mountain School is a powerful history of struggling beyond survival and a glimpse into a culture long since departed, the rural south of the mid-twentieth century. 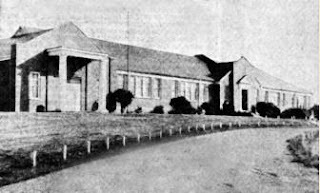 In a compelling account, the children of the forties, fifties and sixties reveal secrets of lessons they learned both inside and outside the school walls. This narrative nonfiction is a collective memoir of an era when moonshine and religion coexisted, when barefoot children didn’t know they were poor and when a flush toilet was heralded as the latest technology. 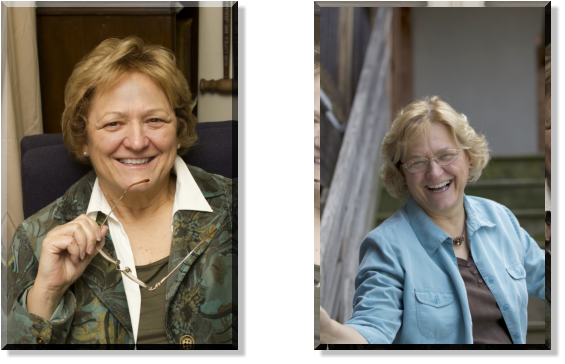 Former students and teachers reveal a forgotten world as they look backward through their personal telescopes of time, wisdom and life successes showing Lessons Learned in the South Mountains of western North Carolina. As the contemporary world seeks to redefine school, Lessons Learned offers its own definition of education and lessons to learn even in this century. Gretchen's book launch is on Tuesday September 25 at from 9:30-2, at the refurbished Pilot Mountain school. A book reading will begin at 10 AM and refreshments will be served. 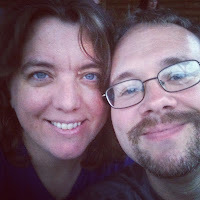 Gretchen has been sharing many of the stories she uncovered on her blog. They are each so precious, I don't know how she chose which ones to use! For the record, there are eight Pilot Mountains in North Carolina and the one this school is named for straddles the Burke/McDowell county line. It's not the more famous Andy Griffith (no relation) Mt. Pilot on interstate 77, the one from his Mayberry story. Lessons Learned is available at Ridgetop Books, an imprint of Bright Mountain Books out of Fairview, NC. This book would make a great birthday or Christmas present for a special person in your life. Or, you can keep it for yourself! Either way, if you want to enter this giveaway, leave me a comment with your email address by 7 PM on September 24. Gretchen will be happy to autograph it for you! "Formal Me" and the one on the right the "Normal Me." 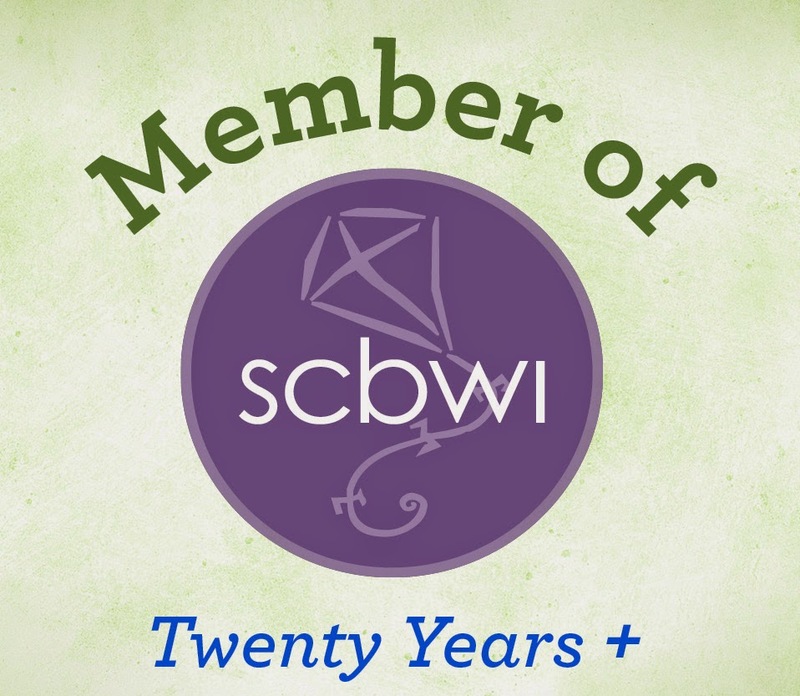 Before beginning her writing career, Gretchen taught every age imaginable from Head Start five year olds to college freshman at Appalachian State University and a ninety year old woman in my adult basic education classes at Caldwell Community College. She shares the story behind writing Lessons Learned here. In my next three blogs I am introducing three books that are coming out this month. Each author has generously agreed to give away a copy of her book. Details on how to enter follow this post. But first, here is Donna Earnhardt who is jumping out of her skin to share her new baby with you. Take it away, Donna! Carol: How and when did you get your idea for Being Frank? Did anybody in your family inspire the story? Donna: Some people do creative thinking while cleaning or exercising. I happen to know some wonderful folks who get great ideas while mowing. Me? I usually get them while I’m taking a shower or when I’m praying. I just happened to be doing both when the first line of Being Frank popped into my head! The whole book is inspired by my family. Even the main character’s name. My dad’s first name was Frank! Carol: How many rewrites/revisions did you go through? Did editorial input shape the story? Donna: I went through a couple of revisions on my own before I queried Shari Greenspan at Flashlight Press. But my changes were not big ones. For about a year or so after she received my manuscript, Shari gave me input and asked for revisions. Her insight was incredible and she saw things that needed changing which I couldn’t see. She has great ideas and they definitely helped the story become what it is today. Carol: How did you find your publisher? Donna: I had already submitted several things to Shari, but none of them were right for her. As hard as it was to receive rejections, it was nice to know that Shari was quick and honest in her feedback. If she didn’t like it, you knew pretty quickly. She had rejected another book, Pirate Stew, which I revised and resubmitted. She still didn’t like it! J BUT… I believe that interaction was a blessing! It wasn’t too long after that rejection that I sent Being Frank. Obviously, she liked it! Carol: It sounds as if your back and forth interactions was the basis for a good working relationship between the two of you. How do you feel about how the book was illustrated? Donna: Andrea Castellani is incredible! He surpassed anything I had imagined and completely “got” my story. 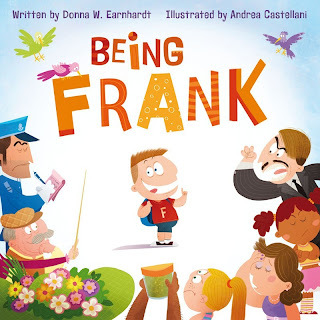 He captured Frank’s personality and made him come alive! Matter of fact, I think my husband fell in love with Andrea’s work even more than my story! You can see more of Andrew’s work HERE. Carol: How long did the entire submission to publication process take? d. Submission of entire manuscript (with more revisions) sent to Shari: 3-5 days after critique group’s feedback. e. Positive response from Shari indicating she was interested in considering it: Not long. Perhaps a week after submission. f. Revisions and rewrites via email: 15 or so revisions (with editor) over the course of a year. h. Happy dance: still happening! Carol: What's next? Another book Flashlight Press, looking for an agent, or just trying to keep the dust bunnies under control at this point? Donna: I am in the process of looking for an agent for my other picture books and chapter books. After submitting to agents I am now waiting. J If I don’t find an agent that fits (or who totally loves my books), then I’ll submit to houses on my own. As for the dust bunnies? They are incorrigible. First they staged a coup, now they have created their own production company. They’ve already made up their first two romantic comedies -- Some Like it Hop and Bringing up Bunny. Carol: When is your book launch? Donna: Park Road Books on Saturday, September 22 from 11:30-1:30. Carol: Thanks, Donna, for sharing the backstory of your book. I can't wait to get copies for my grandchildren. No home should be without this book! 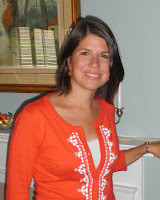 Donna: I appreciate the opportunity to be on your ultra-cool beans blog! 1. 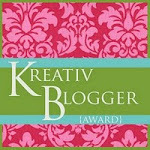 Please share this on your social media site of your choice and/or become a follower of this blog. 2. Leave me a comment, with your email address, indicating which you did. 3. Winner's name will be drawn September 19th after 6 PM. one of the many Franks in her life. When Donna isn't homeschooling or battling the laundry, she's writing children's stories, poetry, songs, and mysteries. You might find her fishing the Pee Dee River, hiking in the mountains with her family, or visiting her hometown of Cordova, NC. She lives in Concord, NC, and Being Frank is her first picture book. In this last post in my series with Carin Siegfried, she shares her insider’s view of why and how a writer might use an independent editor. Carol: When do you need an independent Editor? o If you aren’t able to find a writer’s group or get any other free feedback. o When you are self-publishing, and then you also need a copyeditor and proofreader. o A good editor will see problems and suggest solutions. Carol: Where do you find one? o Publishers Marketplace or the Editorial Freelancer’s Association. Membership to the Publishers Marketplace is $20 a month and can be cancelled at any time. o Look for what major publishing houses the editors have worked at, a list of projects they have worked on, their education background, and their general tone and voice on their website/in their listing. In other words, you are looking for someone you can get along with. Carol: How much does an editor cost? o I charge $100/hour for developmental and/or line editing, and also for publishing consulting, which covers things like writing or editing a query letter, a proposal, descriptive copy for the book, or an author bio; researching literary agents; sending queries and monitoring responses; getting an ISBN and registering copyright; any production or trafficking work. o Standard pricing for copyediting is about $5.00-3.00/page and proofreading is a little less. o Be wary of anyone who seems too cheap. You often get what you pay for. Carol: What is the biggest reason that manuscripts are rejected? Carin: Writers must do their homework! A manuscript will be rejected quickly if it is sent to the wrong genre for the particular house or if the editor’s name is misspelled. It has been my pleasure to host Carin on this blog and from the comments I have received, you have enjoyed learning more about the writing and publishing industry. Part I: Carin's insights into the different types of editing. Part III: More editorial problems. Part V: Can you over-describe? Part VI: Why do you need an agent? Part VII: What do you do when an agent offers to represent you? I'll be switching gears and highlighting three North Carolina authors whose books are coming out later this month--complete with giveaways too! Next week I'll be sharing Carin Siegfried's last post in her "Insights into Editing" series. Meanwhile, here is a review on a new book for girls. 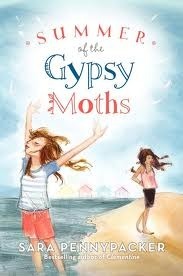 On the surface, Summer of the Gypsy Moths by Sara Pennypacker (Balzar & Bray, 2012), is the story of two girls who form an unlikely alliance and friendship. But dig deeper, and you’ll find ties like, “strands of spider silk: practically invisible, maybe, but strong as steel” (p.1) which are woven throughout this middle grade novel. Stella and Angel barely talk to one another in the small house they share with Stella’s great-aunt Louise, a caretaker for a small group of rental cottages on Cape Cod. When Louise dies suddenly the girls are forced to work together in order to survive. The girls meet the job at hand—keeping the cottages open for the summer season—and develop trust and affection for one another. This is shown dramatically when Stella gives Angel, who deeply fears the ocean, her first swimming lesson. Both Stella and Angel wrestle with feeling abandoned by their families and part of the book’s triumph is how they each discover a place to belong. Since I am writing a book with the theme of an unlikely friendship between two girls, I noticed how Pennypacker expertly showed each girl using the friendship to meet their own goals. 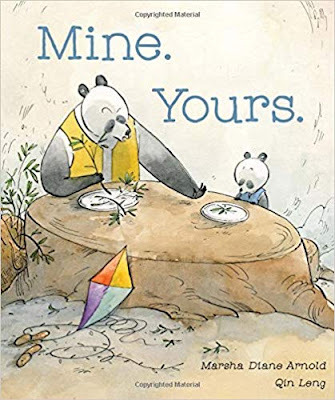 If you read this book with your daughter or students, consider the role that the gypsy moths play (their name means “destroyer”), as well as the seagulls, blueberry bushes, and the simple acts of gardening, and cleaning. Pennypacker brings a lot to this book; I hope you and a young reader savor it together. ONE WEEK OF YOU- by Lisa Kline's new YA novel and a Giveaway! Since I was a child I have loved reading and have maintained a journal off and on for more than 30 years. My book, "Teaching the Story: Fiction Writing in Grades 4-8" (Maupin House, 2007) reflects these twin passions of reading and writing. "If you want to write, read!" I am presently writing my first young adult novel, you can find out more under the "Half-Truths" tab. 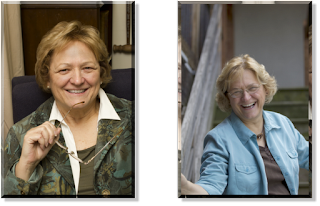 I co-publish the "Talking Story" newsletter with Joyce Hostetter and am a new team member for Write2Ignite. Turning Your Ideas into Publishable Works Mauldin Library, Greenville, South Carolina. June 29, 2019. 10:30-12. Your Path to Publication Mauldin Library, Greenville, South Carolina. June 29, 2019. 1:30-3. I hope you will join me at the W2I conference for Christians who want to write for children and young adults. Soon I will announce the three workshops for teens I will be presenting. Click here to e-mail me with questions or comments. For reviews and more information, click on the link at the top of this page.